9 day Essential China tour including return international flights, accommodation, meals, professional guides, in-depth sightseeing and more. per person twin share |	Typically $3,080! 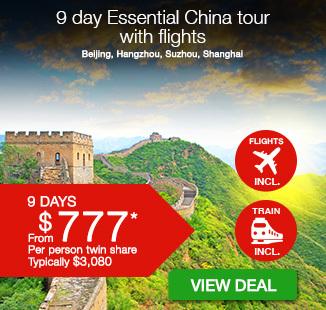 See the best of China with this incredible value 9 day Essential China tour. 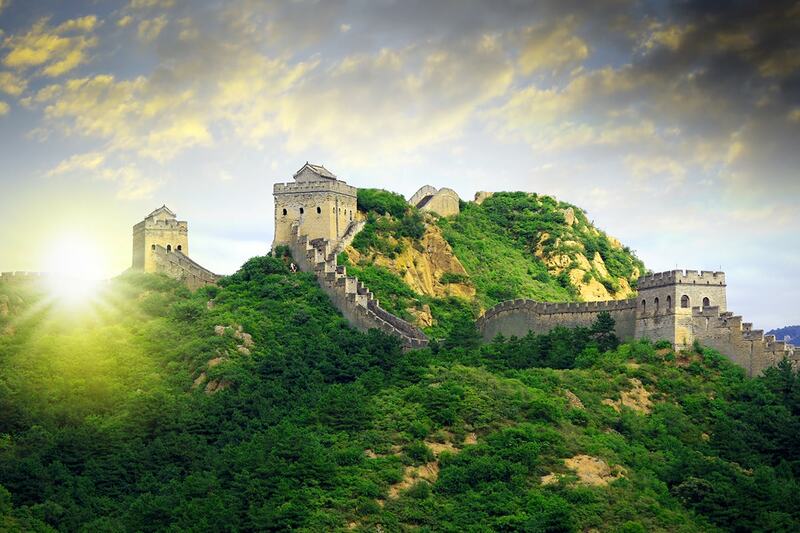 Take in some of China’s best sites; walk the Great Wall, see the grand Forbidden City and ride an incredible bullet train. 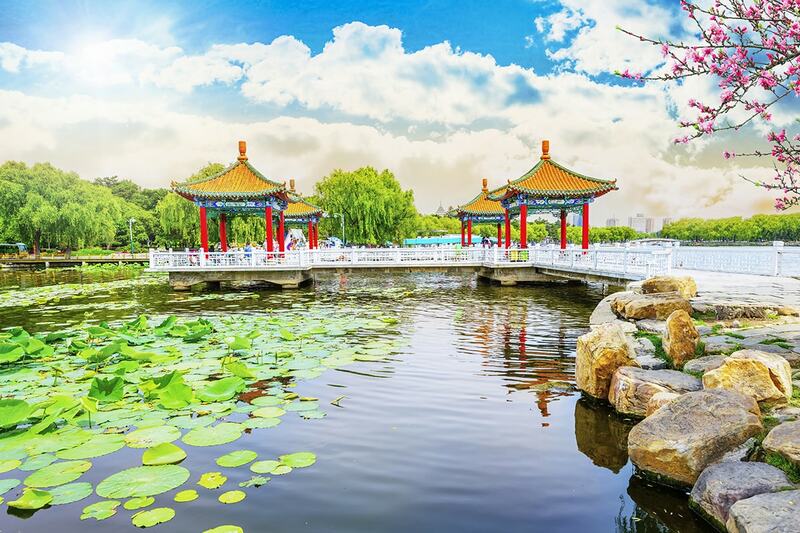 Take in the West Lake in Hangzhou, visit a stunning silk factory and explore Shanghai’s vibrant and bustling city, plus so much more! 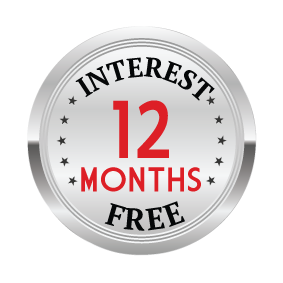 Your package includes return international flights, accommodation, expert tour guides, most meals, private coach transportation, professional guides and more. 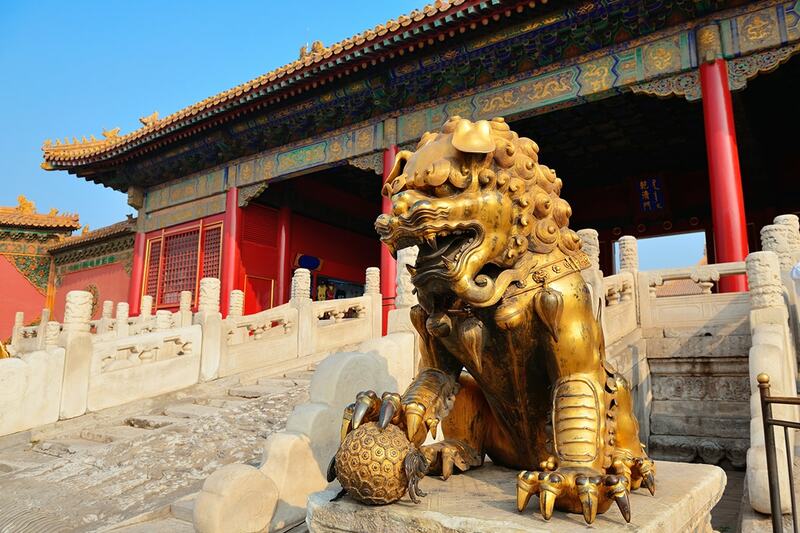 Optional Tour: Tiananmen Square & Forbidden City – Set out with your trip leader to discover Beijing’s imperial treasures. Stand in Tiananmen Square, one of the largest and grandest public plazas in the world before progressing on to the Forbidden City. 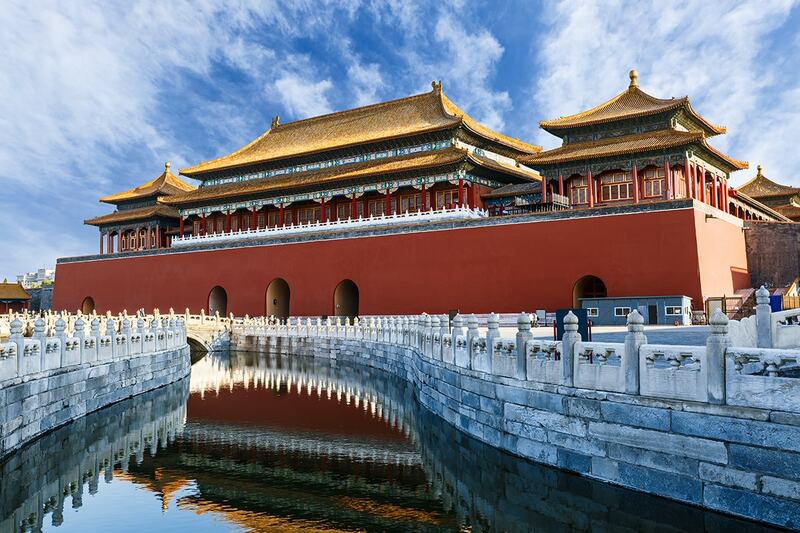 Enter the imposing walls of the Forbidden City, once the exclusive domain of the Ming Dynasty, for an exclusive tour through this vast complex of courtyards and lanes. In the morning, you can choose to spend the day at your leisure – take advantage of the hotel facilities or explore Beijing. 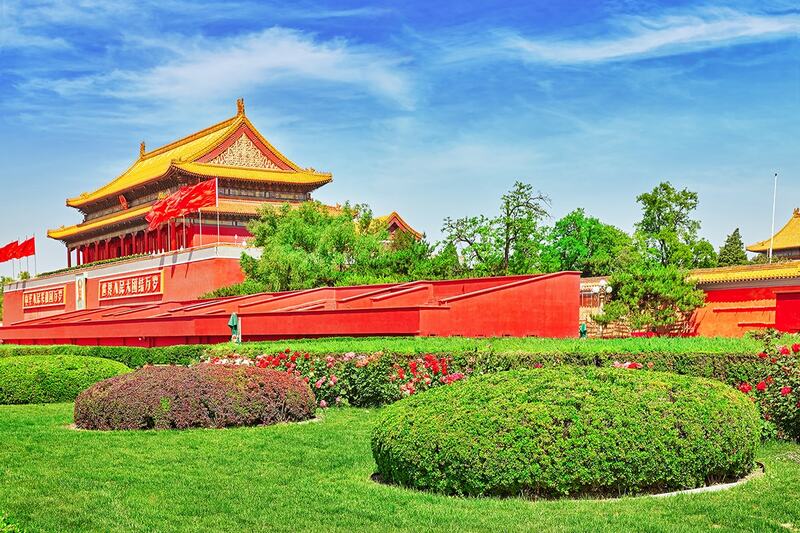 Optional Tour: Visit the Temple of Heaven and practice the martial art of Tai Chi. Tai Chi is an internal martial art system which places emphasis on the development and control of Chi energy (consciousness) within the body. The Temple of Heaven a sprawling complex of religious buildings located in the south-eastern section of central Beijing. The site was constructed by the emperors of the Ming and Qing dynasties who would host annual ceremonies of prayer for good harvest here. Later this afternoon you will be transferred to Hangzhou via bullet train. 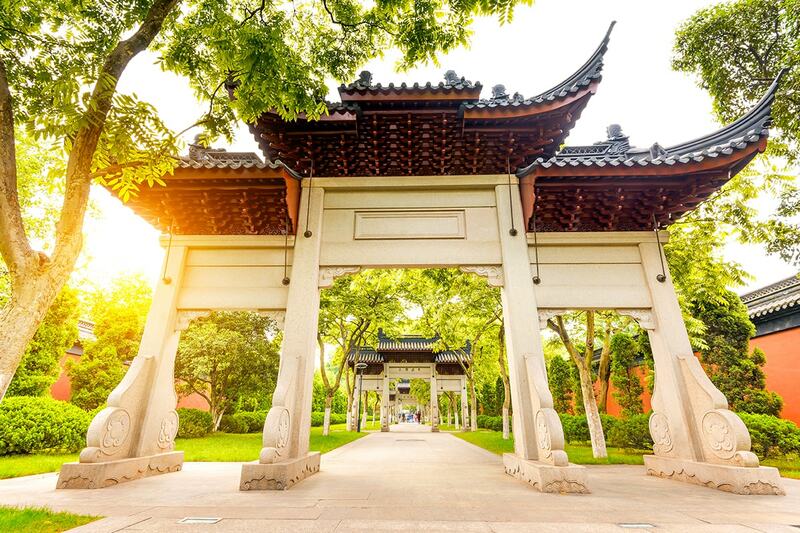 Today, your will embark on a tour of Hangzhou city – renowned for its beauty and abundance of cultural heritage. It is also the political, economic and cultural centre of the Zheijang Province and one of the most popular tourist destinations in China. 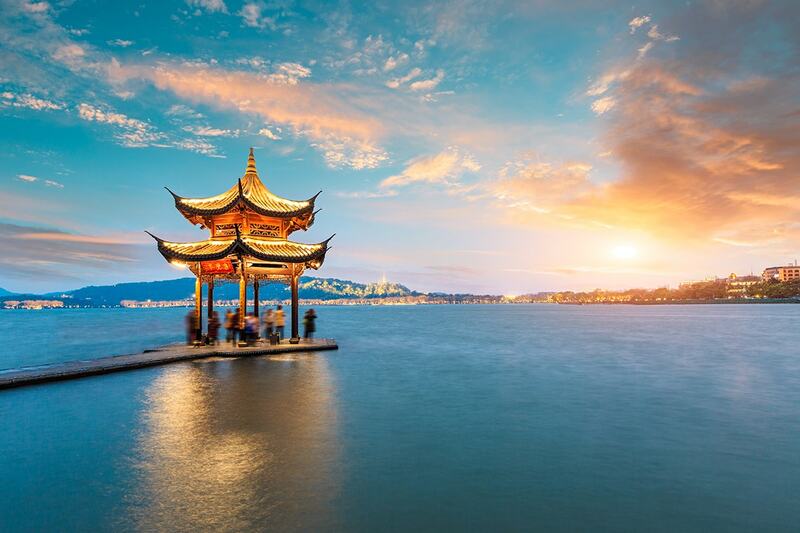 You will then visit the West Lake area in Hangzhou, comprising of the West Lake and the surrounding hills, which have inspired famous poets, scholars and artists since the 9th Century. It is considered one of the most beautiful landscapes in China, and is home to numerous temples, pagodas, pavilions, gardens, causeways and artificial islands. While you’re in the West Lake scenic area, visit to tea plantation, here you will learn about tea picking and processing. Optional Tour: In the evening, you may choose to attend the Romance of Song Dynasty Show featuring colourful costumes dancing, acting and acrobatics and tells the story of the five areas of Hangzhou. Today, you will be transferred from Hangzhou to Suzhou via bus. 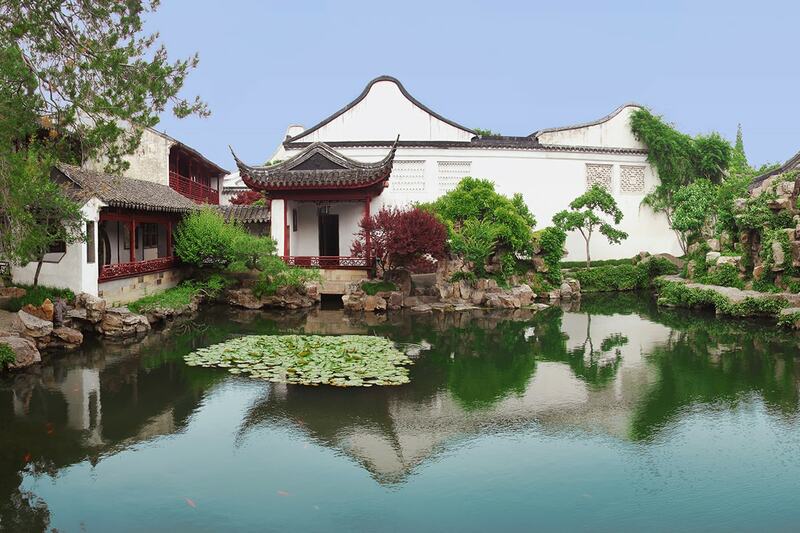 Upon arrival, spend some time exploring the Master of the Nets Garden it is one of the finest gardens in China, and for which Suzhou is renowned. You will explore the garden and admire the effortless cohesion of art, nature and architecture that has attracted thousands of visitors since 1140CE. After breakfast, spend the morning perusing the most famous silk factory in China to understand the manufacturing processes of silk and its rich history in China before being be transferred to Shanghai via bus. Upon arrival, you will visit the Nanjing walking district and discover the history and culture of Shanghai. 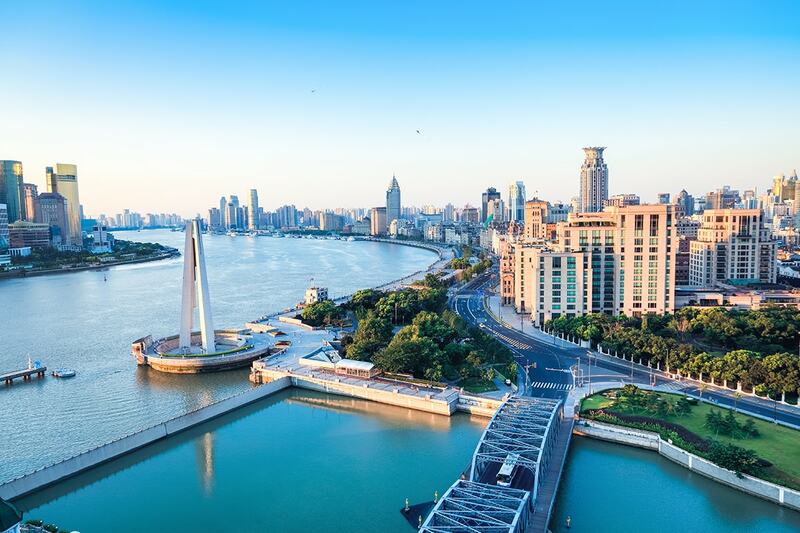 You will then continue to the Bund by the Huangpu River, and witness the old meeting the modern side of the city. Optional Tour: Enjoy an evening on the Huangpu River Cruise, allowing you to take in the famous sites of Shanghai including; the People’s Hero Monument, the Bund, the Oriental Pearl TV Tower, the dramatic skyline of the Pu Dong business district, the bustling International Passenger Station of Shanghai Harbour, the docks and the Wu Song ancient gun fort relics. Today you will be transferred to the airport for flight home. We hope you enjoyed your journey to China with us! Today, you will be transferred from Shanghai to Yichang by high speed train. Upon arrival, you will board the Yangtze River Cruise ship and settle in before departure tomorrow. The expansive Yangtze River is the largest river in Asia and the third largest in the world. It is renowned not only for its impressive size, but also for the natural beauty of its surrounds. The river begins in the remote mountainous regions and winds its way through stunning gorges, lush and fertile regions and connects with numerous lakes and waterways. 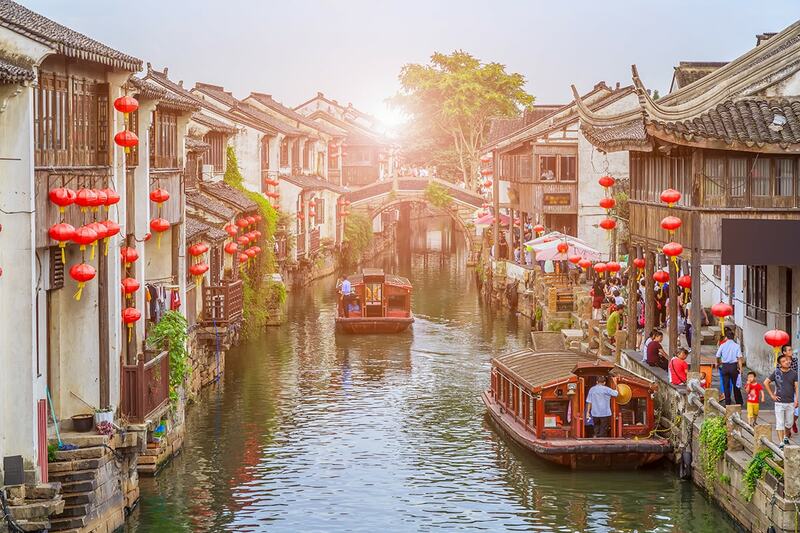 Your first day on the Yangtze River will begin with a beautiful buffet breakfast before setting out on your first optional shore excursion to the Three Gorges Project. The Three Gorges Dam Site is one of the largest construction projects undertaken by mankind and is the biggest hydropower project in the world. Optional Tour: Visit the Tribe of the Three Gorges, the only large scenic spot that has not be influenced by the Three Gorges Dam project, which showcases the abundant Ba Culture and Shu Culture. In the evening, you will return to the ship and attend the Captain’s Welcome Banquet and enjoy the evening of dancing. Optional Tour: Enjoy a shore excursion to the mesmerizing Shennong Stream. The stream flows through 3 beautiful gorges including the Mianzhu Gorge, Parrot Gorge and Longcangdong Gorge. Each gorge is renowned for its unique and stunning scenery. The Shennong Stream is also home to the Hanging Coffins – which are ancient coffins containing the remains of decendants of the Tujia people. 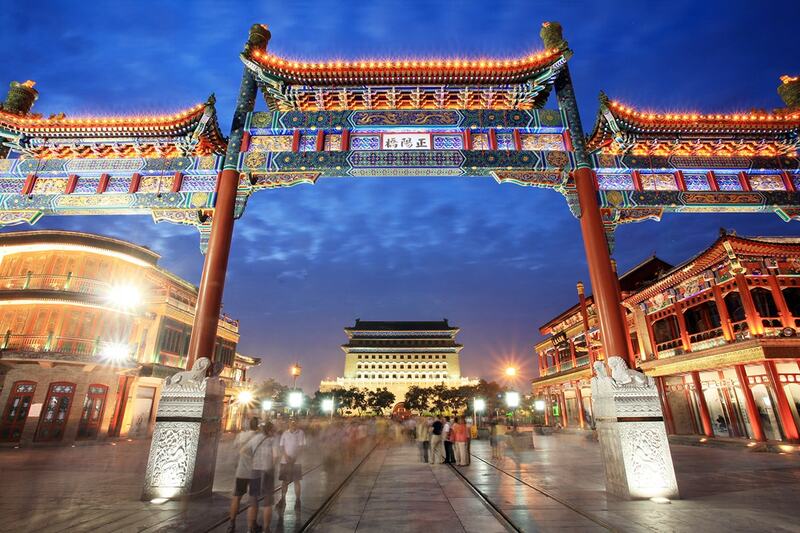 Optional Tour: Visit the White Emperor City. It’s an ancient temple that is located atop Baidi Mountain on the northern bank of the Yangtze River in Fengjie County. In the afternoon, you will return to the ship in time for lunch and enjoy the crew’s performance in the evening. Optional Tour: Visit the legendary Shibaozhai. The site has a history of over 400 years when it was built into the side of a 200-meter-tall hill. The striking 9 story red pagoda was built in 1819 to make it easier for people to reach the Buddhist temple at the very top of the hill. Also, you may choose to attend an excursion of visiting the Fengdu Ghost City which is also known as the “City of Ghosts”. You will see the temples built on Ming Mountain depict the punish instruments and demon paintings, demonstrating the Chinese people’s imagination of hell. In the evening you will enjoy the Farewell Dinner and pack your bags in preparation to disembark the cruise tomorrow. Today, you will disembark the cruise ship and head to airport for your scheduled flight home. We hope you enjoyed your journey to China with us! 9 Day Itinerary: $420 per person in addition to the twin share price. 14 Day Itinerary: $780 per person in addition to the twin share price.